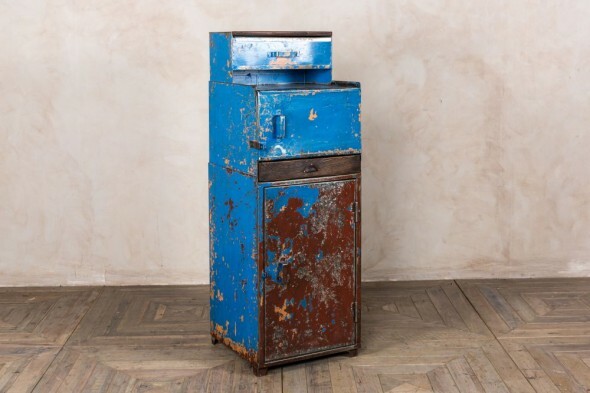 Add industrial style to your bar or restaurant with this vintage restaurant waitress station. 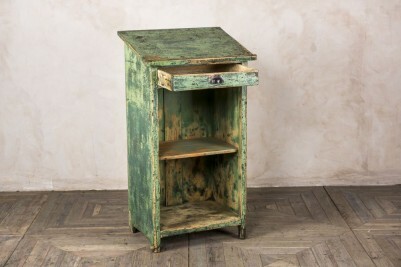 The unit would be perfect for use as a host station. 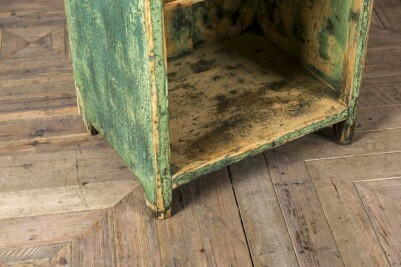 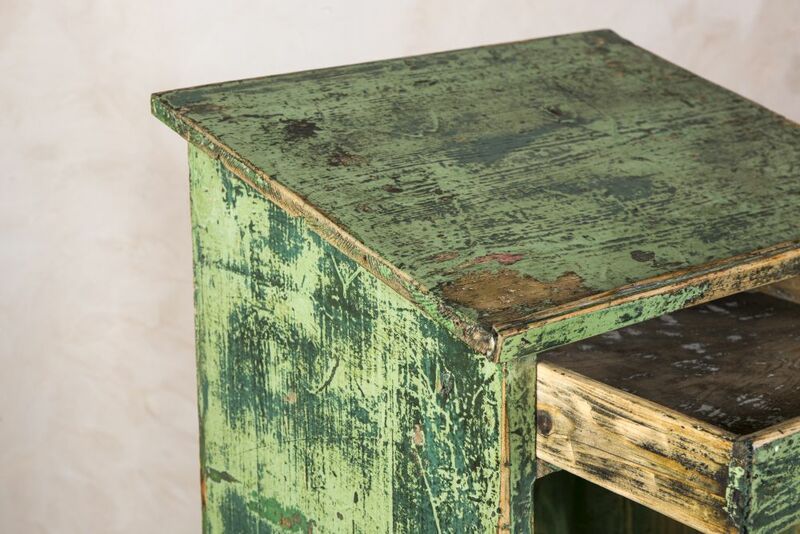 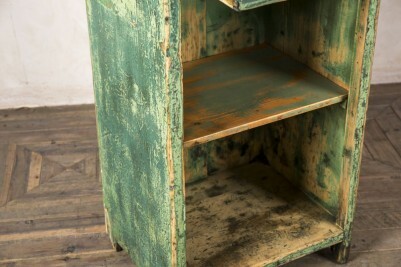 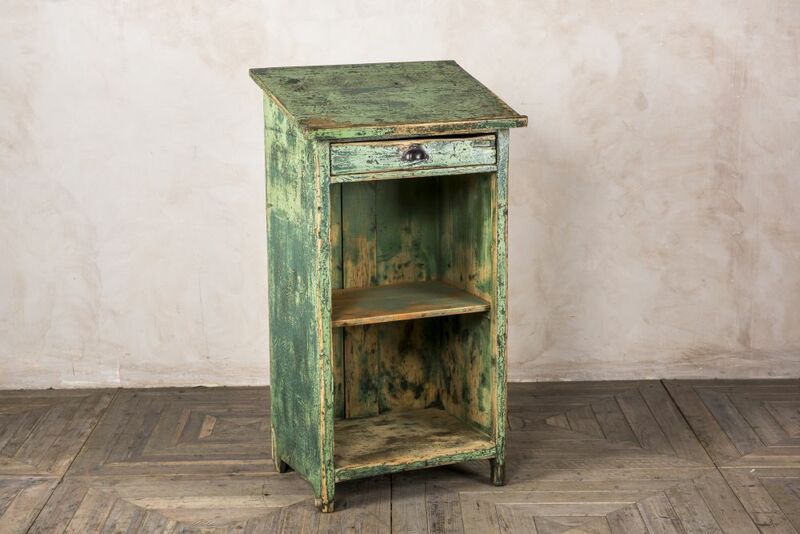 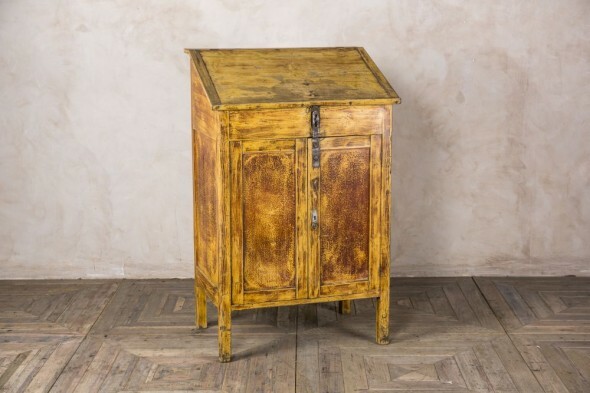 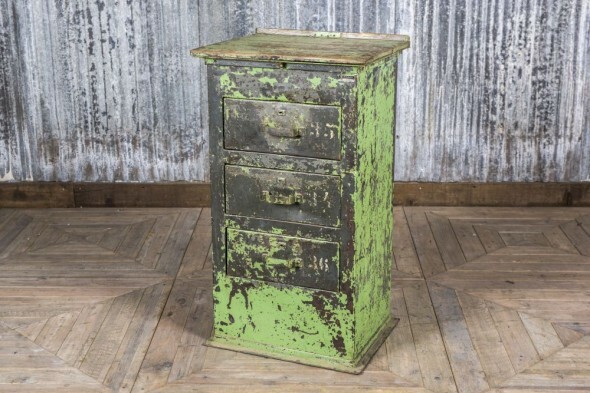 It was painted green and has acquired a distressed finish through years of use, which adds to its industrial style. 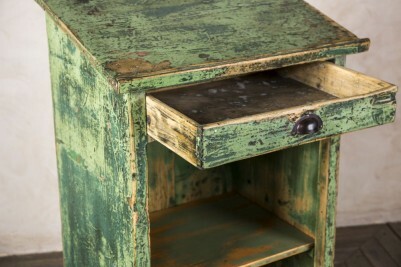 The waiter station has a drawer and two shelves offering ample storage for menus, condiments, etc. As this server station is an original vintage item please allow for signs of wear and tear.